Regular Price is $40 per volume All Sales go to the Berkshire Carousel Inc. The Author: Jim Shulman Pittsfield native, Jim Shulman, loved growing up in the Berkshires in the 1950s and 1960s and has been an amateur local historian and ephemera collector since then. 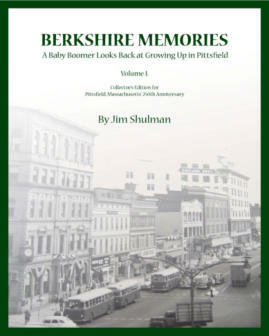 Both volumes are one of Jim’s contributions to the Berkshire Carousel project that he and his wife, Jackie, founded. 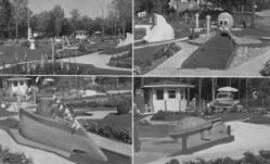 The goal of the project is to train volunteers on how to carve and paint carousel figures and build a carousel in the Berkshires. It is a grassroots effort that has given participants a sense of pride in their community and an opportunity to create memories for future generations, much like the ones in this book. All income from the books goes to Berkshire Carousel, a 501(c)3 non-profit charitable organization.